Everyone and his momma were expecting one form of easing or another from the ECB last week, but what took most market watchers by surprise was the magnitude of the central bank’s stimulus efforts. Some predicted a benchmark rate cut or negative deposit rates while others believed that the ECB would ramp up its long-term refinancing operations (LTRO). But why pick one when you can do ’em all? Am I right, Mr. Draghi? Not only did Draghi and his men slash interest rates from 0.25% to 0.15%, they also cut the marginal lending rate to 0.4% and brought deposit rates down to -0.10%, which means that banks would now be paying to have cash parked in the ECB’s vault. Aside from that, Draghi also introduced new targeted LTRO in September and December. Among the unprecedented easing measures announced, perhaps the one that could make the biggest impact on the euro is the implementation of negative deposit rates. As I discussed in my blog entry on why negative deposit rates matter, this monetary policy tool aims to encourage lending by discouraging banks from keeping their extra cash in the ECB. 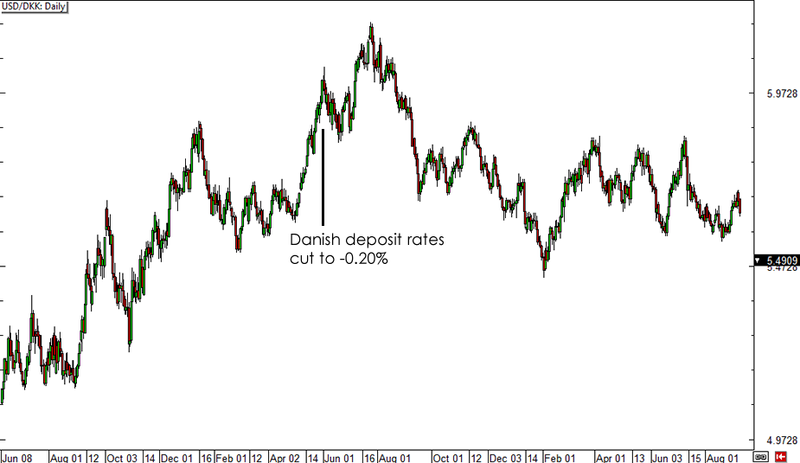 As you’ve probably noticed, the Danish krona and Swedish krona both fell in value to the dollar weeks after the announcement. However, it appears that the monetary policy move eventually translated to stronger lending and led to currency gains. Will the euro react the same way? For now though, the euro could continue to be weighed down by weak fundamentals, as the largest economies in the euro zone have shown signs of a slowdown. In particular, data from Germany has been mostly disappointing, with retail sales, business and consumer confidence, manufacturing PMI, and preliminary CPI all falling short of expectations. Bleak euro zone inflation forecasts practically sealed the deal for ECB easing. Take note that the central bank downgraded its annual CPI estimates for 2014, 2015, and 2016, reminding market watchers that deflation is a very real threat for the region. With that, it’s no surprise that Draghi said that the ECB is not finished when it comes to implementing monetary stimulus. Although ECB policymakers didn’t announce actual quantitative easing moves during the rate statement, their decision to extend the eligibility of collateral assets and to prepare for outright purchases of asset-backed securities suggests that they are setting the stage for QE later on. Bear in mind though that QE might be challenging to implement in the euro zone, as the region doesn’t have a unified government debt market to conduct purchases. For now, Draghi hasn’t pulled the trigger on QE but has warned during the press conference that this scenario is drawing near. 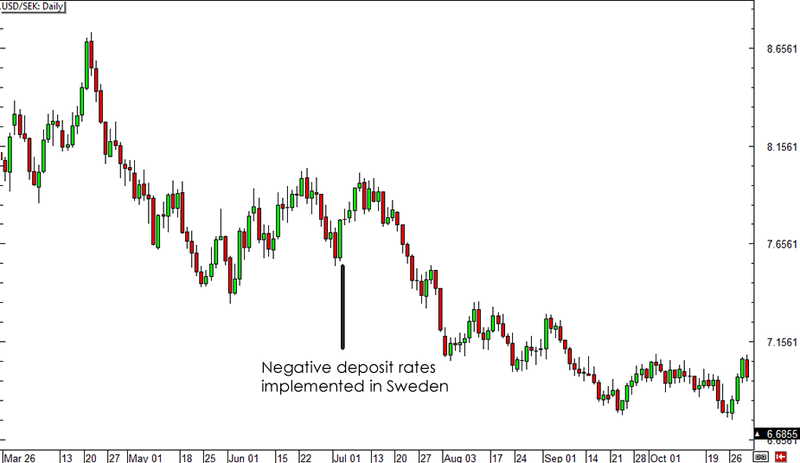 Do you think the ECB’s announcement could lead to a long-term euro selloff? Share your thoughts in our comment box or cast your votes in our poll below!